Life In A House of Blue ! 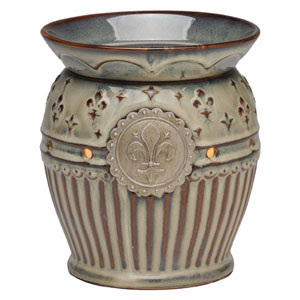 : Scentsy - No More Traditional Candles For Me ! Home > Home > Scentsy - No More Traditional Candles For Me ! Scentsy - No More Traditional Candles For Me ! Who doesn’t love a great smelling house? I Know I do! I would have candles burning 24/7 ( if that was safe) and if they would truly make my house smell good for hours and hours. Recently I was introduce to Scentsy by Independent Consultant, Melissa Boudreaux. I scheduled an online party and was able to try some products in my home. 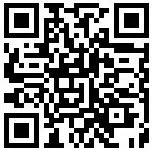 What is Scenstsy ? Scentsy offers electric warmers that use a low wattage light bulb to melt cubes of wax, so there is no soot, flame or smoke involved. This makes them very safe to use and they only emit scent into the air, no black smoke or soot like traditional flamed candles. Over the last week I have had a chance to try a Full Size warmer and Blueberry Cheesecake wax bar in my home ….lets just say YUMMY! My WHOLE house smelled like blueberry cheesecake within a half hour. 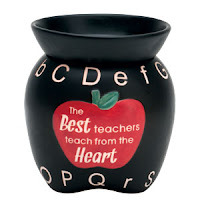 Besides smelling great the warmer also serves as beautiful decoration for your home! After this past week having the Scentsy warmer in my home, I will be customer for LIFE !! In addition to candle warmers, Scentsy also offers Scentsy wax bars/bricks, plug in warmers, hanging fresheners, foams, room sprays, scented stuffed animals and more! Another plus with the Scentsy products is that you can easily change fragrances without wasting any of your bar or brick. Just completely melt the fragrance that is in your warmer, pour it back into the original packaging, and clean the dish out with a paper towel (very little gets left in there). Then you're ready to try a new fragrance! The melted wax will cool and resume it's former shape, ready for the next time you want to use it! Right now I have an online party going on, today I have been working on my order and lets just say it is was a hard decision , with over 80 different scents to choose from and more than 30 warmers it took me a long time to decide. I chose the Charlemagne Full-size warmer (seen above on right), Scentsy Bars and Bricks (ordered more scents than I will admit to LOL), a Round Scentsy Warmer Stand and a Scent Circle. 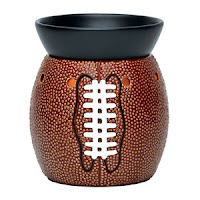 The great thing about their products is that they have something have something for everyone, Scentsy can make your gift buying for anyone easy… from woman, men, kids, sports fans and even something for a baby’s nursery. 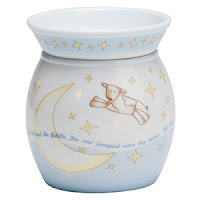 So for that upcoming birthday, baby shower, wedding shower etc… Scentsy is your one stop shop. Below are a few of my favorite warmers for gift ideas. 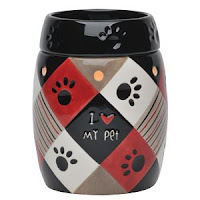 SAVE - Check out the Scent & Warmer of the Month !!! If you want to place an order and try Scentsy for yourself visit my online party or visit Melissa's website anytime!!!! 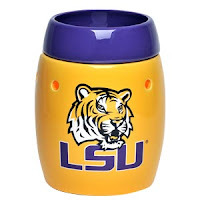 Now you can make money from home and have your house smelling great. When you become a Scentsy consultant you can work your business as a hobby, as a part time job or full time. It is up to you and what you want. You are your own boss and the possibilities are endless. If you want to start a business with a low start up fee, sell a product people will love, and set your own hours, Scentsy might be the company for you. You can join Melissa’s team and start your own your business for just $99 and you get everything you need to get started, if interested visit www.melissaboudreaux.scentsy.us and click on join. 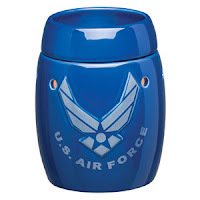 I finally got a Scentsy Wax Warmer and it DOES rock!